Are you looking to get more active in the new year but have not found the right activity yet? Are you a retired sports person who is looking for something to satisfy your competitive instincts? Or are you a rugby player who is looking to improve your skills and awareness? If so, pay a visit to AIT on Saturday, January 27, for Athlone Touch Rugby’s first coaching day. Learn more about the game from three of Ireland’s best and most experienced coaches: Paul Brown, former national director of coaching with the Ireland Touch Association (ITA ); Billy Ngawini, ITA national development officer; and Brian Leveau, ITA national director of coaching. 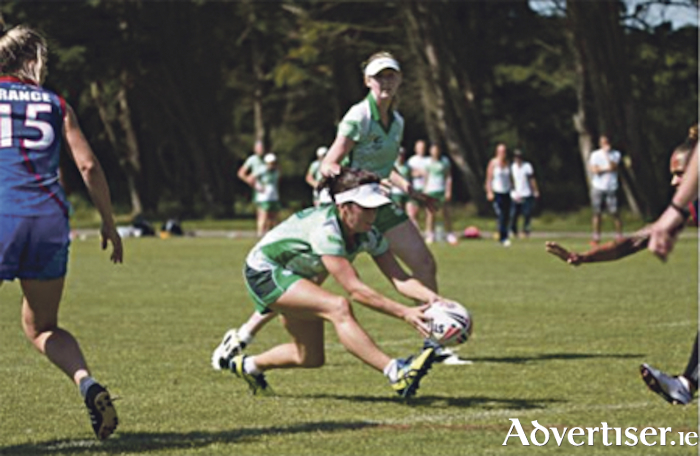 Touch Rugby is a six-a-side, non-contact version of rugby which originated in Australia in the late 1960s. As well as being a fun, safe and social game for everybody, the benefits of touch for developing rugby players’ skills, fitness and awareness of space have long been recognised in the Southern Hemisphere, where both boys and girls play the game. Here in Ireland, the game is still a minority sport, but it is growing fast with several hundred players in Belfast, Dublin, Wickow and Galway. There is also a vibrant scene, with Irish international teams competing in men’s, women’s and mixed competitions at European and World levels from U15 level all the way up to those older than 50. This exciting event is aimed at beginners and inexperienced touch players and will take place on the AIT astro pitch, beside the indoor arena on Saturday, January 27, from 12 noon to 3pm. Everyone is welcome to attend. For more details contact Denis O’Connor on (085 ) 7742751 or check out the ‘Athlone Touch Rugby’ Facebook page. If you cannot make January 27, attend Buccaneers RFC any Monday evening from 6:30pm onwards to give touch rugby a try.